Its been 10 years since the publication of John Hoffmans cult classic of urban scavenging, The Art and Science of Dumpster Diving. 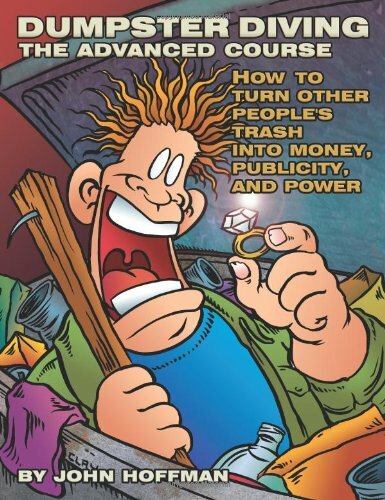 Now the Garbage Guru is back with an advanced course in turning other peoples trash into money, publicity and power! Be prepared to be challenged by this mind-bending tutorial in the unconventional economics of digging through trash in pursuit of fun and profit. Just some of the lessons you will learn include: The key secret to dealing with locked dumpsters How to dive for information (dumpster dirt) and use it to humiliate corporations, politicians, and other evil-doers The unusual profitability of diving for movie and celebrity castoffs - without ever having to visit Hollywood The BIG-bucks potential of industrial diving, including the top 10 most lucrative places to do it How to sell your dumpster-dived wares through the greatest flea market of the 21st century eBay! How to parlay dumpster diving consciousness into finding cheap property, supporting radical causes, even landing political office New readers, as well as those familiar with Hoffmans work, must be warned that Dumpster Diving: The Advanced Course is decidedly weirder, more ambitious, more disturbing, and profoundly more subversive than his first book. Youre gonna dig it! 8.5 x 11, softcover, photos, 128 pages.